Nina Simone, Bob Dylan, Marvin Gaye, John Lennon, B.B. King, James Brown, Joni Mitchell, Curtis Mayfield and Mavis Staples, all cried power according to Hozier’s new song Nina Cried Power and album of the same name. It is a protest song about protest songs. When asked about it, Hozier answered that “music is political no matter what”. Now, some might argue otherwise, but those who do often view politics in relatively narrow terms. Politics in these cases seems to be defined as explicit messages of support for defined political parties, causes, or simply who to vote for in upcoming elections, but it’s not just that. Politics has a hand in everything we do or say, the schools we go to, where we live, the taxes we pay, our mere use of any public anything, the songs we choose to sing, even the art we decide to hang up our walls is political. Keeping out of politics or keeping it out of our lives is redundant, as George Orwell described it “all issues are political issues”. Art doesn’t exist in a vacuum, it exists in every aspect of our lives and what artists think or feel about politics is bound to appear in what they create. Some time prior to drinking a bowl of poison by order of the Athenian state for questioning too much of what was going on around him and corrupting the youth of Athens, Socrates famously said that “the unexamined life is not worth living”, he translated his beliefs in a final act when he preferred to drink hemlock poison rather than be told what to think. The magic of this scenario was captured by 18th-century French painter Jacques Louis David in The Death of Socrates, completed in 1787. 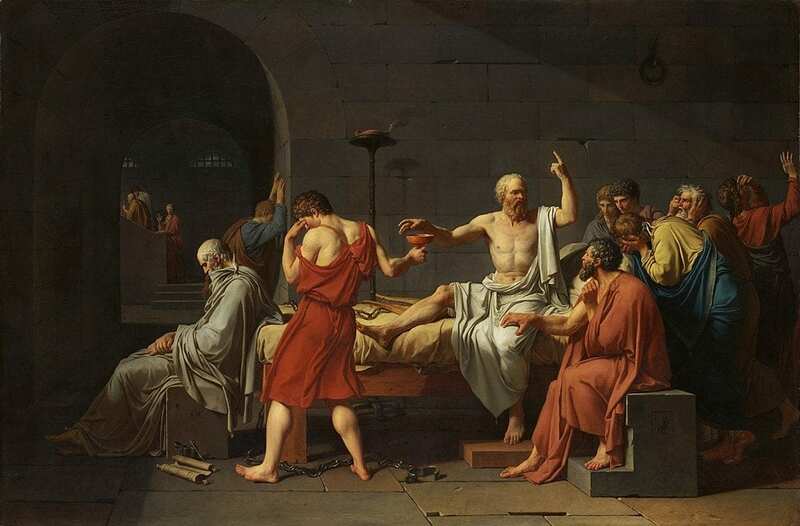 The painting focuses on the story of the execution of Socrates as told by his protégé Plato in the Phaedo where Socrates heroically rejected exile and accepted death from the hemlock. David captured the moment as Socrates is reaching for the poison, looking calm and composed, the lighting penetrating from the top, pours onto Socrates, making him the brightest element in the room, highlighting his noble act. 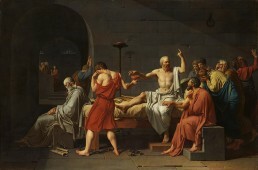 Socrates is viewed by David as a symbol of strength, morals and self-control even in face of death. With The Death of Socrates, David brought politics into painting, shook up the art scene, and won major admirers two years prior to the French Revolution. 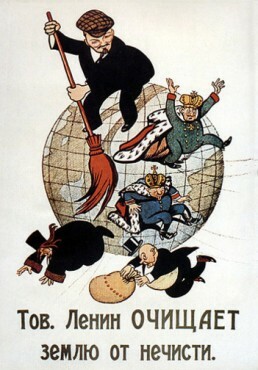 Moving on to much recent revolution, after the October Revolution of 1917, that ended centuries of Tsarist rule and shook the Russian society to its foundations. 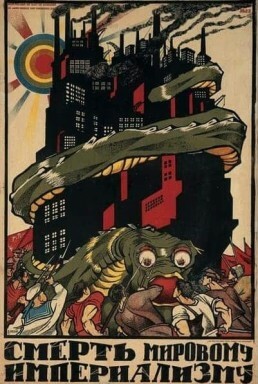 The country was entrenched by World War I and hurtling towards the Bolshevik regime with the promise of brave new worlds and liberation from the past. This historic change has set all the arts aflame. With limited communications and the majority of citizens illiterate, the Bolshevik regime had to rely on visual propaganda to get its message across and win the hearts and minds of the people. These posters were exactly the forerunners that led to the creation of the Socialist Realism art movement several years later. 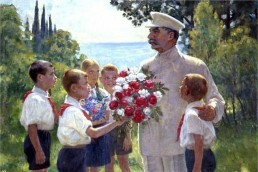 Socialist Realism flourished primarily during the 1920’s and 1930’s as the only officially accepted form of art. 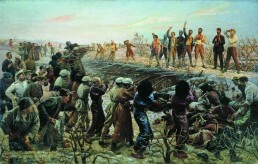 At the time, art was thought of as something that should be realistic, optimistic and heroic, depicting images of the proletariat and their struggle towards a better life. Art during this area was a weapon and its biggest goal was to show the citizens how everything got better after the revolution, because of the revolution. 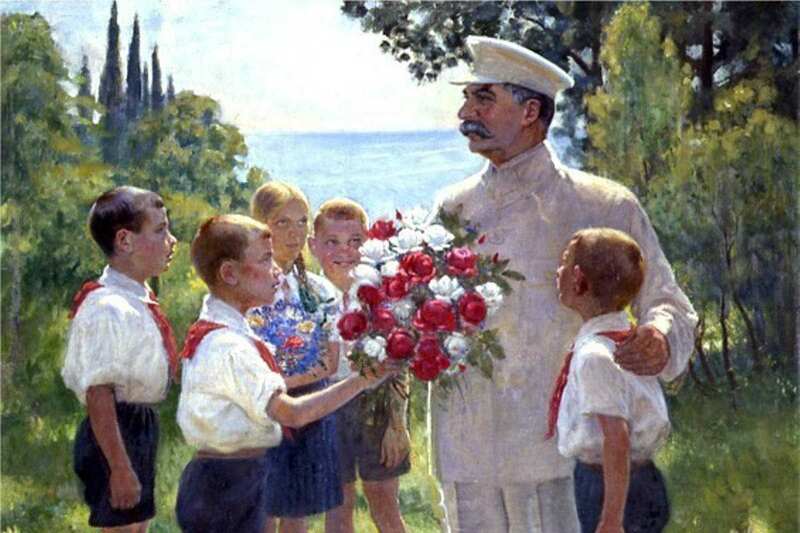 Happy workers, youth, school children, sunlight, industrial successes, roses, harvests; everyone was happy and healthy and strong. 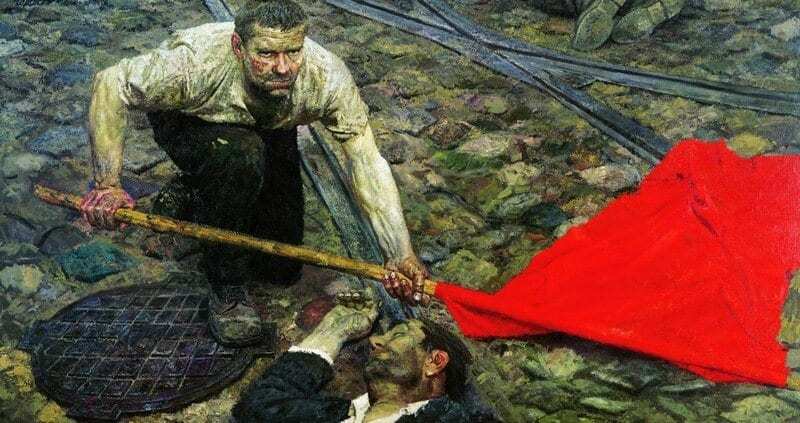 Social Realism was outstanding phenomenon in the twentieth-century art scene, the works of the artists such as Vladimirski, Plastov, Brodsky and Dmitrii Moor feature multiple themes and approaches to art. 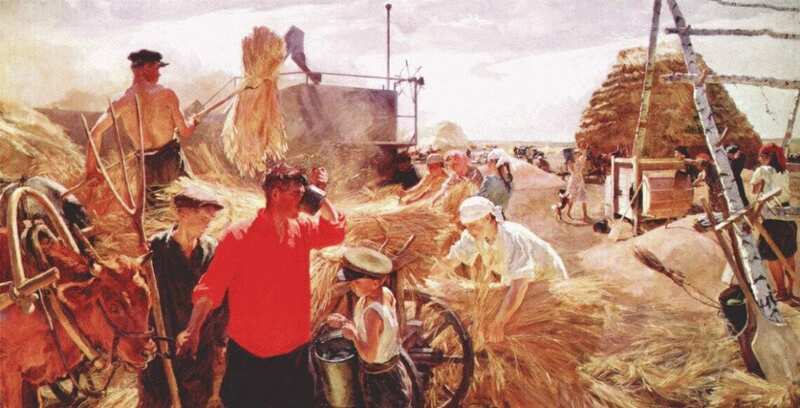 The movement may have originated on the product of totalitarian control but it wasn’t solely that, these works also reflected internal issues and great historic events of the twentieth century. Other artists have chosen to portray wars and their inhumanity, brutality, and hopelessness through their work. 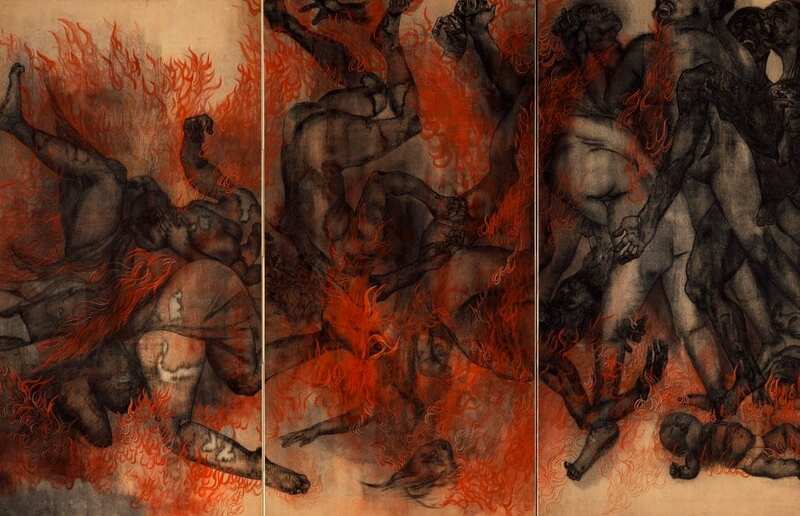 on August 6, 1945, when the artists Iri and Toshi Maruki entered the city of Hiroshima, Japan just after days of its bombing, having experienced the brutality of the scenes, being surrounded by destroyed buildings and charred bodies, they translated the horrors they witnessed in The Hiroshima Panels. 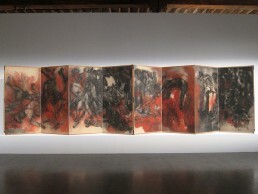 A series of fifteen painted folding panels using traditional Japanese techniques of screening combined with a more western style of illustrations to depict hellish scenes of the atomic bombings of Hiroshima and Nagasaki, as well as other nuclear disasters of the 20th century. After the Marukis’ nomination in 1995 for a Nobel prize, their work, The Hiroshima Panels were not only remembered for being indictments of war but also became a continuing protest against wars and nuclear weapons. They gave homage to all of those who died and a message that their tragedy wasn’t in vain. 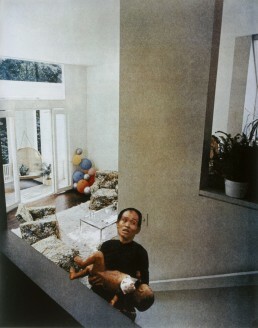 Now moving on to my last example, here is something more contemporary. 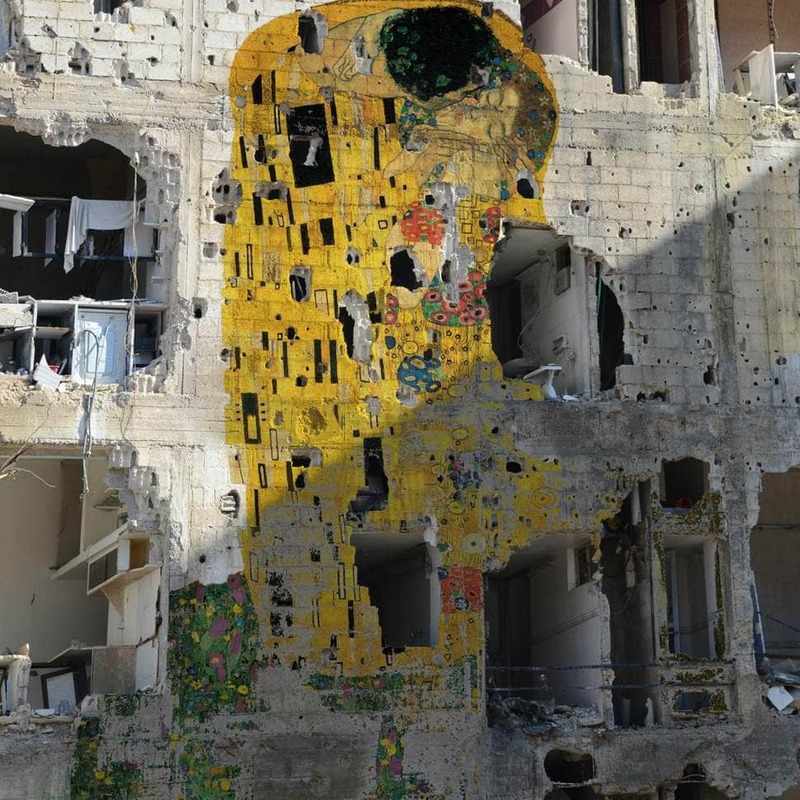 Tammam Azzam, a Syrian artist who has also found his voice by creating something I’d consider similar to the works of Martha Rosler but in reverse. Azzam he integrated scenes of the destruction of his daily life with famous paintings from the Western world projected against bombed buildings,A Kiss for the Whole World, he had named it, his own way of using identifiable artworks to draw attention to the tragedy of everyday life in Syria. By taking one of the most passionate and romantic paintings in art history, and putting it on a wall in Syria, Azzam pleas to touch the international hearts that are finding peace in ignoring the misfortune of his country and many others. As argued above, art provides us with one way to show our discontent and deliver our concerns, it is not just something beautiful to hang around the house or use as a background for our screens. 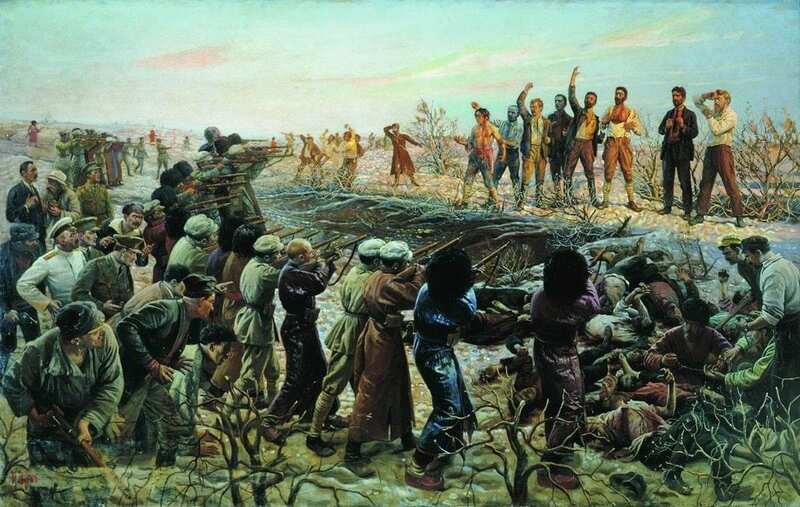 Some works aren’t explicitly political or about war, but somewhere even without noticing the creator is voicing their contempt, their beliefs and values. Take heed. necessarily reflect the official artmejo/artmejournal policy. 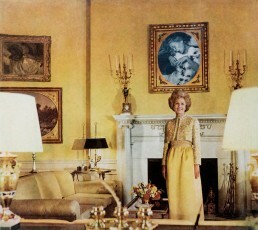 I am an engineer, reader, and art lover. I precisely had to appreciate you once more. I’m not certain the things I could possibly have tried without the type of hints contributed by you concerning that topic. Certainly was the traumatic matter in my circumstances, however , taking a look at the very expert tactic you treated that took me to jump with gladness. 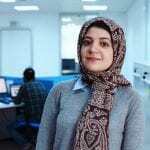 I’m just happy for this work as well as have high hopes you find out what a powerful job you are getting into educating men and women through your blog post. Most probably you have never come across any of us.